Tampa Criminal Defense Lawyer Ron Frey and The Frey Law Firm, LLC are located in downtown Tampa close to the Old Hillsborough County Courthouse at 419 Pierce Street and the Thirteenth Judicial Circuit Courthouse (Edgecomb Courthouse) located at 800 East Twiggs Street. This convenient office location enables the Tampa Defense Firm to serve its clients even more effectively. 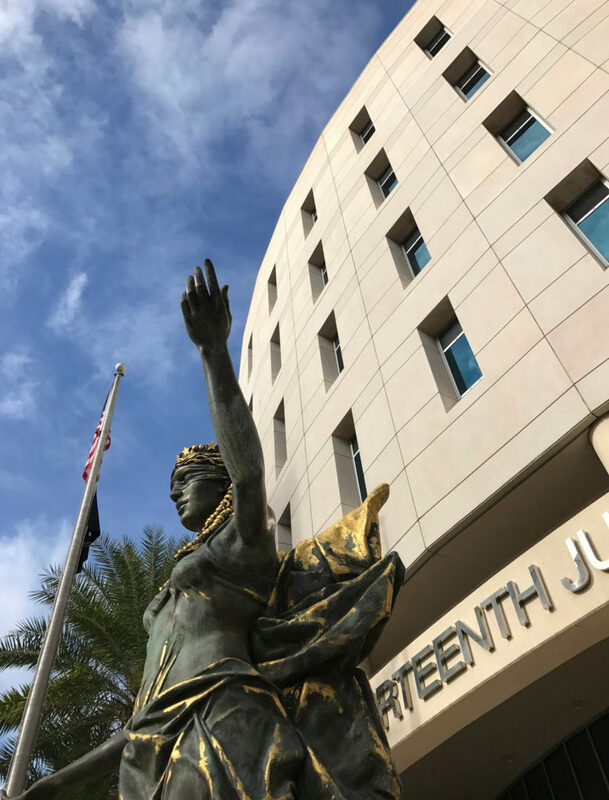 The Tampa Criminal Defense Law Firm, The Frey Law Firm, is conveniently located near all of the major courthouses in Tampa. The Frey Law Firm, LLC is conveniently located in the heart of Tampa at 625 East Twiggs Street, Suite #101A, Tampa, Florida 33602. The Law Firm’s Tampa Office is fully equipped with spacious conference rooms and comfortable reception areas in order to provide a relaxed and professional environment for the clients the firm serves. In addition to the comfortable working environment within the law office, the courtyard outside the Tampa office offers a unique oasis in the heart of downtown and within walking distance to all of the Tampa Courts. 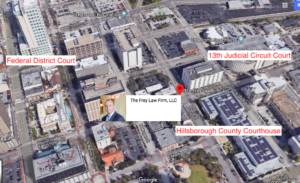 Situated next to the Old Hillsborough County Courthouse and the Edgecomb Courthouse (Thirteenth Judicial Circuit Court) in Tampa, Florida, The Frey Law Firm’s location enables clients to meet with Attorney Frey in the comfort of the office before or after court appearances, as needed. 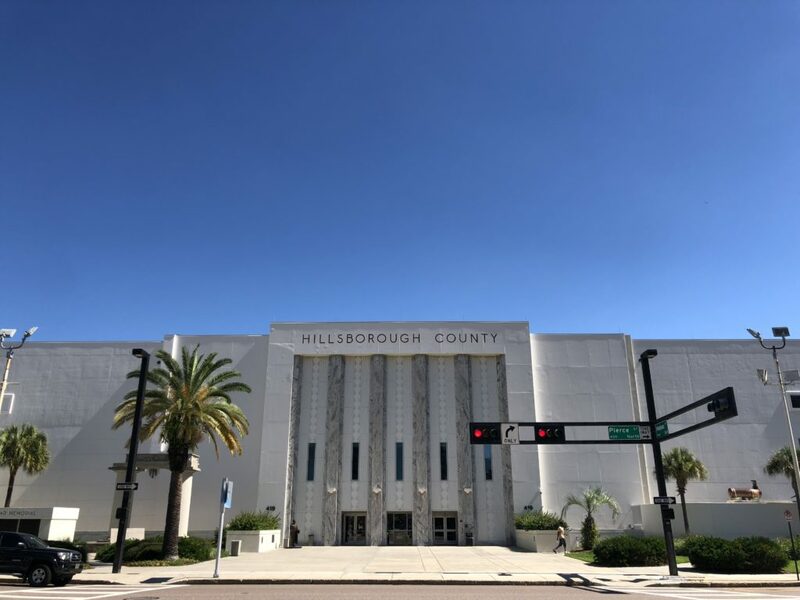 The Thirteenth Judicial Circuit Court (Edgecomb Courthouse) in Tampa, Florida is located at 800 East Twiggs Street and is within walking distance of The Frey Law Firm, LLC. If you are facing criminal charges in Tampa, Florida, please do not hesitate to contact Tampa Criminal Defense Attorney Ron Frey and The Frey Law Firm, LLC for a free initial case consultation. Attorney Frey has represented clients in complex criminal matters for nearly fifteen years. His experience and commitment to achieving the best result possible for his clients has been recognized by a number of legal organizations. As a Lifetime Member of the National Association of Criminal Defense Lawyers (NACDL), Attorney Frey is well-versed in the strategies required to defend a criminal case strategically and aggressively and the results achieved demonstrate the effectiveness of the representation. If you or someone you know has a question regarding criminal law in Tampa, Florida, call The Hillsborough County Criminal Defense Law Firm today. Attorney Frey is prepared to represent you in the Tampa area and beyond. Take action and contact us today.